the shares of pre-tax income for the four lower income groups was greater than their shares of federal taxes paid in 2010. In contrast, the highest quintile earned about half (51.9%) of all income in 2010 but paid more than two-third (68.8%) of all federal taxes collected. The top 1% earned 14.9% of pre-tax income in 2010 but paid 24.2% of all federal taxes collected…The federal tax system is highly progressive (higher income households shoulder an increasingly greater tax burden), especially for federal income taxes, as the bottom chart shows. The top income quintile paid almost all federal income taxes in 2010 (94.1%), and the top 1% paid almost 39% of all income taxes. In contrast, the bottom two income quintiles actually had negative shares of income taxes in 2010 and were in fact “net tax receivers” because their refundable tax credits exceeded the income tax otherwise owed. The rich may be evil and all that, but they sure do pay for it. find that when the minimum wage is higher, all low educated workers face jobs that are more stable (in the sense that they are less likely to end in a lay-off) but harder to get. This shifts the debate over the usefulness of minimum wages to the question of whether workers are better off with improved job stability or improved chances of finding a job when unemployed. It also means that minimum wages affect a much larger part of the labour market than is usually recognised and potentially raises the stakes in the policy debates…Thus, the policy debate should not just be about the employment rate effects of minimum wage increases but about the trade-off between good jobs with higher wages and more job stability versus easier access to jobs. And the debate is relevant for all of the low educated labour market, not just teenagers. This article at Business Insider is one of those articles for political moderates who want to know about practical, non-ideological, expert-approved policies we can do to grow our economy. The premise of the article is that demand-side economics (think: government intervention and redistribution) has been the right response to the fiscal crisis, but that in the long run sustainable growth depends on supply-side economics (think: deregulation). Rather than a return to the supply-side theories of prior decades, however, the article lists 8 new supply-side policies, and a lot of them are exactly the sane, sensible policies that could make our country better. This pic has nothing to do with the article, really, but BI used it so I did, too. Precisely because they are sane, sensible, and not easily classifiable as left or right, they will probably be totally ignored. Don’t let my cynicism get you down, though! At a minimum, if you read the article you can trot them out whenever you feel the need to browbeat your partisan friends (from either end of the spectrum) into submission the next time they explain why it is that their particular political ideology is the One True Way for America. The current poverty thresholds do not adjust for rising levels and standards of living that have occurred since 1965. The official thresholds were approximately equal to half of median income in 1963-64. By 1992, one half median income had increased to more than 120 percent of the official threshold (pg. 1). Adjustments to thresholds should be made over time to reflect real change in expenditures on this basic bundle of goods at the 33rd percentile of the expenditure distribution (pg. 2). Yet looking back now, another fifty years later, the middle class of 1955, luxuriating in their cars, comforts and gadgets, would today be describe as ‘below the poverty line’…Today, of Americans officially designated as ‘poor’, 99 per cent have electricity, running water, flush toilets, and a refrigerator; 95 per cent have a television, 88 per cent a telephone, 71 per cent a car and 70 per cent air conditioning. Cornelius Vanderbilt had none of these. Even in 1970 only 36 per cent of all Americans had air conditioning: in 2005 79 per cent of poor households did. Even in urban China 90 per cent of people now have electric light, refrigerators and running water. Many of them also have mobile phones, inter net access and satellite television, not to mention all sorts of improved and cheaper versions of everything from cars and toys to vaccines and restaurants. While poverty by certain standards may not have budged, the literal material well-being of the underprivileged in America has increased dramatically. The safety net has played (and should arguably continue playing) a role in protecting the poor from some of the most brutal blows poverty has to offer. But when you consider the many life-easing materials mentioned above, I think you’ll find that LBJ had little to do with the market forces that brought them about. The poverty rate in the United States fell by half from 1950 to the start of the “War on Poverty.” And it was on track to continue falling. But after the “War on Poverty” programs kicked in, the poverty rate has been stuck in a narrow corridor. The lesson: Despite good intentions, statist redistribution programs to “help the poor” lead to multigenerational dependency and shrinking opportunities and incentives for low-skill individuals to enter the workforce, increase their skills, and move up the income ladder. In the comments, McQuillan says, “Note in the chart above that the poverty rate fell dramatically after the Clinton overhaul [in 1996].” This drop in poverty was also corroborated in a 2000 study referenced by McQuillan. But does this faithfully capture the condition of the poor in the U.S.? I’ll explore this in Part 2. 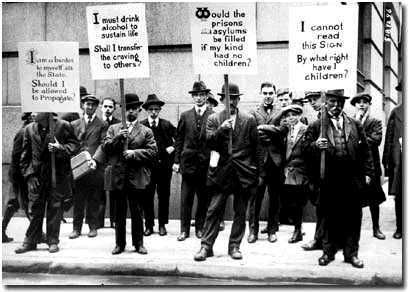 I was recently revisiting some of the research by economist Thomas C. Leonard of Princeton University on eugenics and economics during the Progressive Era. Leonard is currently working on a book entitled Excluding Inferior Workers: Eugenic Influences on Economic Reform in the Progressive Era. I had nearly forgotten about the excellent slide-show he produced for his book’s research. For those who have an interest in economic history–especially the Progressive Era’s influence on America’s economic thinking–these slides are definitely worth reading. 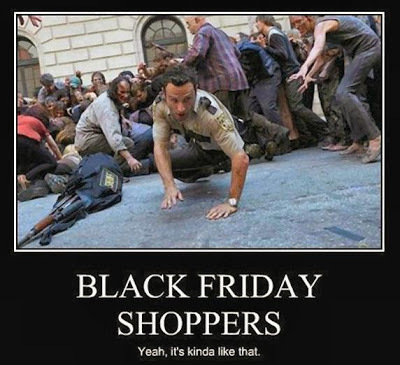 Last year, I posted a piece at The Slow Hunch on Black Friday. Does the post-Thanksgiving binge represent the most base form of materialism? Maybe not (at least not completely). Check out my post to see why. But I have some good news for Pope Francis and the media: things have been getting better for some time. The world isn’t quite on its way to hell in a handbasket. Furthermore, it was the “autonomy of the marketplace” that achieved one of the major Millennium Development Goals of halving global poverty five years early. And as I’ve noted before, global inequality is actually decreasing. A brand new study supports past research by demonstrating that–though inequality is still high and increasing within countries (not just in America)–global inequality has seen an unprecedented decline. This is not to say that all is well. There is much, much more to be done. But these are positive trends; trends that caused one journalist to declare 2012 (at the dawn of 2013) the best year ever. We have seen incredible progress over the past couple centuries. If we want to address social ills like those Pope Francis spoke of, we should look to those policies (and yes, ideologies) that have made these positive trends possible. The Tea Party does not have a lot of friends in Washington. Conventional wisdom–the sort of thing you hear on NPR, for example–is that the GOP has redistricted itself to death. By creating solid red districts, they’ve turned over power to the loonies on the fringe. Complementary theories include the notion that the Tea Party consists of a bunch of delusional fools who are shoveling their hard earned life-savings to snake oil selling PACs who have no interest in making real changes, but just want to make a buck off of gullible fools. Both of these narratives tap into deep political stereotypes, but neither actually make much sense. The problem with the gerrymandering explanation is that it’s the opposite of how gerrymandering actually works. Not that I’m defending redistricting games, but the essence of gerrymandering is called “packing and cracking“, and it means you pack your opposition into dense, homogeneous districts but you crack (spread out) your own supporters as much as possible. Think about it for a minute, if you’ve got 5 districts and the overall population is basically 50/50 Democrat and Republican, do you (as a Republican) want to put all of your voters in one dark red district and leave the Democrats to have 4 very slightly blue districts? No: that’s how you lose an election, not how you win it. The idea that the GOP created a bunch of ultra-conservative districts doesn’t make any sense. Meanwhile, the idea of the huckster political operative taking grandma and grandpa’s money to go off on a doomed crusade to end Obamacare taps nicely into images of televangelist faith healers (i.e. negative stereotypes of the religious right) and the influential What’s the Matter With Kansas?, but all it really does is expose liberal arrogance. The idea is that conservatives are just too darn stupid to know what’s good for them (i.e. liberal policies) when the reality is that conservatives have different values than liberals. For example, conservatives believe that passing on staggering amounts of debt to their children is morally reprehensible and are willing to sacrifice their own interests to stop it. But is this just spin? Nope, it turns out there are some pretty hard numbers behind this. I got tipped off to that fact when a Facebook friend posted this Washington Times opinion piece: Tea Party Loosens K Street’s Stranglehold on the GOP. The thesis of the article is pretty simple: before the Tea Party, Republican candidates depended on cash from big business and lobbyists to run their campaigns. But a proliferation of ideological PACs provided an alternative source of funds separate from the interests of big business. Carney, who wrote the piece, concludes that Tea Party candidates are therefore getting their money from small business owners and retirees: individuals.